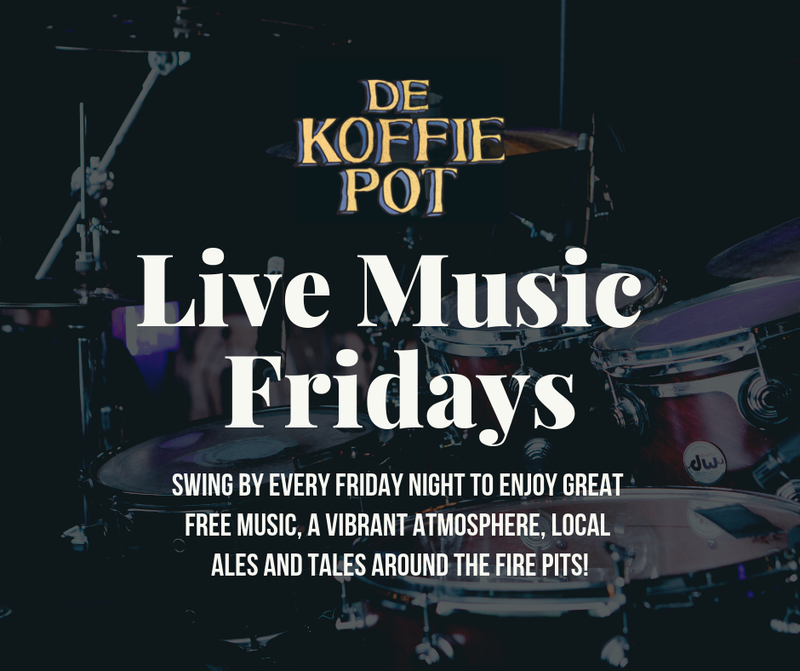 We have FREE live music every Friday on the bandstand in the courtyard or upstairs in De Koffie Pot depending on the weather. No matter what kind of a week you have had, be sure to meet your buddies for a pint around the firepits and enjoy the acoustic serenade. Support us to keep this going and to help Hereford’s music scene thrive once more!